We are obsessing over this statement plauysuit. 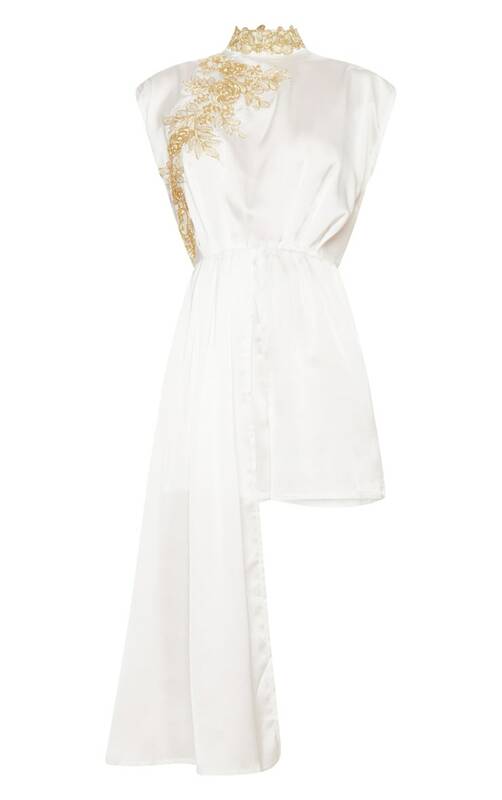 Featuring a white material with a high neck design, gold embroidery and a statement drape detail, what's not to love? Team with gold accessories and heels for a night out look we're loving.